Home » Jill Shively: O.J. Eyewitness or False Witness? OJ Simpson Eyewitness or False Witness? When the Lie Becomes the Truth : The Jill Shively Story. After OJ Simpson’s ex-wife Nicole and her friend Ron Goldman were murdered, there was only one person who claimed to have witnessed O.J. Simpson fleeing the crime scene in his White Ford Bronco. Los Angeles County Prosecutors Marcia Clark and Christopher Darden never called that witness to testify. Some say it is because the alleged witness, Jill Shively, sold her story to the tabloid television show Hard Copy which tarnished her credibility, others claim that friends of O.J.’s in the District Attorney’s office made false claims about Jill Shively in order to prevent her from testifying against O.J. Simpson and, still others claim that Jill Shively was simply not credible & her story was highly suspect. In 2016 Jill Shively’s startling story of an encounter with O.J. 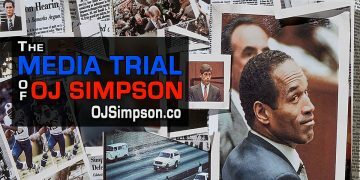 Simpson at 10:50pm on June 12, 1994 was brought to life in an episode of the FX mini-series The People v. O.J. Simpson: American Crime Story. * Did Jill Shively really cross paths with O J Simpson at 10:50PM on June 12, 1994? * Was selling her story to Hard Copy the only reason that she did not testify at the “Trial of the Century”? * Or, is Jill Shively’s story simply a lie? Using Jill Shively’s own statements, her Grand Jury testimony, the sworn testimony of other witnesses and, indisputable facts; this short documentary film will conclusively answer those questions beyond any doubt.